Cameron Park is a vibrant community located between El Dorado Hills and Shingle Springs in the rolling hills, oaks and grasses of the Sierra Nevada foothills near Highway 50. Cameron Park is known for providing residents the opportunity to live in comfortably large homes with spacious lots, in a great school system and a naturally beautiful setting; all within a short commute of Sacramento and Folsom. Great Residential Lot with long range valley views, mature Oaks, ready to build your dream home among very nice houses in the neighborhood, all utility available at street. This usable good size lot is a wonderful opportunity for a builder! Great location in a good neighborhood! Sellers' plans have changed, their loss is your gain! Cameron Park, as with most of the area, finds some of its earliest roots in the Gold Rush era and even before that with the Native Americans who once occupied the region. Cameron Park was established in its current form only a short while ago in the mid 1900’s by a man named Larry Cameron who owned much of the area and went through the effort of subdividing it to its current form. The Cameron Park real estate market has little of everything. The majority of properties in Cameron Park are subdivision homes on large lots, but there are also condos in Cameron Park and a good number of custom homes and ranches on acreage. There is also a good inventory of land for sale in Cameron Park for those more inclined to building there next home. Cameron Park residents enjoy many local amenities, including Cameron Park Country Club and Golf Course, a community center and pool, and a large community park built around Cameron Park Lake, which is the location of the annual "Summer Spectacular". 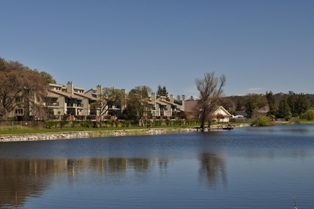 Along with all of the great amenities in town, Cameron Park is also a short distance from Folsom Lake, the American River, El Dorado and Amador County wine country and Lake Tahoe. Most Cameron Park residents can do their day to day shopping in town, but if they need anything less common, they are short drive from Folsom and El Dorado Hills, where just about any type of store or restaurant can be found.